Beautifully furnished and decorated, bright and white with spacious high vaulted ceilings. This Lovely 2nd floor end unit is situated on a Beautiful Lake Preserve with Great Views of the Stunning Wildlife from our Patio/Lanai. Best building location in Sterling Oaks Community, Close walking distance to Pool, Clubhouse, work-out center, Bocce Ball and Tennis Courts. Just minutes to Ocean. Our unit is away from Traffic congestion and noise. Parking is Easy and convenient under our dedicated carport. Our unit has white and bright decor with colorful accents throughout. It is in excellent condition (see pics) only leased 2-3 mos. a year. It has a cozy family room with very comfortable furniture . Convenient and comfortable dining area. Free internet, Cable Television, and DVD for your entertainment. Condo has several Televisions. King sized master suite bedroom set & master bath; Den has nice flatscreen TV & Sleeper Sofa for guests, with walk-in closet. 2nd bedroom has 2 twin beds with 2nd bath nearby. Air Conditioned throughout and Ceiling Fans in all rooms. (extra fans for convenience) Fully furnished Kitchen and Laundry for your convenience. Equipped with Beach Towels, Beach Chairs, Coolers & more for your trips to Ocean. Very close to all Shopping, Restaurants, Ocean, and more. Carport and guest parking. Very convenient 20 minute drive to airport. Sterling Oaks is located on US41 one mile S. of Bonita Beach rd. Please Note: This is a Non-Smoking and No Pets residence. Thank you. Keywords: Cozy, Well Furnished, Beautifully Decorated, Overlooks Natural Lake Preserve, Western Sunset Views, Close to Pool/Clubhouse, Minutes to Ocean, Away from Traffic! Original Owners: Retired Police Commander and Registered Nurse. Original members of Sterling Oaks Community. Many referrals from friends and members of the Naples community. The fantastic location which is very close to Ocean, Shopping, Restaurants, Movies, Medical centers, Airport, etc. Many of our Florida friends have moved into Sterling Oaks after visiting our community. Viewing the Wildlife from our Lanai in the mornings is fantastic. Also the western view of the Sunsets from our Patio is Great. Very short walk to Pool, Tennis courts and Clubhouse area,(great for the kids). Love the casual dining available at the Clubhouse. But the Cabana Bar and Grill is the Best! When at the Pool, you can get cool beverages, and great casual food. A really great convenience. toilet, shower, Shower with sliding glass doors. Just a few miles from the Ocean. Close and convenient drive. Condo overlooks Beautiful Natural Lake Preserve. Wonderful nature viewing. Guest parking area, and parking for Condo occupant under the carport. Wi-Fi provided for guests inside Condo; and also available at Clubhouse. Large comfortable Sofa; Recliner Chair, Coffee Table, lamps, etc. Wonderfully decorated. Full furnished with all utensils, toaster, coffee maker, etc. Pay as you Play, contact Tennis Shop. Beautifully furnished and decorated, bright and white with spacious high/vaulted ceilings. This lovely 2nd floor end unit has beautiful views of a Natural Lake Preserve, and looks West for Beautiful Sunsets. The Views of Wildlife in the Natural Lake Preserve are stunning! Best building location in Sterling Oaks community. Close walking distance to Junior Olympic Size Pool Cabana Bar/Casual Food and Clubhouse, work-out center, Bocce Ball and Tennis Courts. Just minutes to the Ocean! Away from Traffic, congestion and noise. Parking is easy and convenient under our covered carport. Our unit has a bright and white decor with colorful accents throughout. It is in excellent condition (see pics) Only rented for 2-3 mos. a yr. A cozy family room with very comfortable furniture. Convenient and comfortable dining area. Equipped with Beach Towels, chairs/coolers & more for your ocean trips. Close to Shopping, Restaurants, shows, and more. Note: this is a Non-Smoking, No Pets residence. Prior to heading to Naples on business, a friend suggested that I check into the availability of this condo and that I would not be disappointed. He was definitely correct. When I entered the condo, I was impressed as to how well maintained this condo was. From furniture to fixtures, it was like I would keep my own home. The master bedroom was well furnished, as with every room, with plenty of space for everything that I brought with me. The kitchen provided me everything needed for a stay in meal if I desired and the views from the lanai were fantastic and I enjoyed relaxing in the late evenings. The condo is a short walk from the pool and clubhouse which offers many things to do in your spare time. The pool area was well stocked with clean towels, lounge chairs and everyone using the area was friendly and courteous. Owners and renters alike were more than happy to suggest interesting locations such as restaurants and bars. The owner was a pleasure to work with and I was so impressed with the location and the condo, that I asked about the possibility of leasing for an additional week and then called the wife for a surprise vacation. I would definitely recommend condominium and plan on leasing again in the future. Jim, thanks for your kind comments. You're welcome to come back anytime soon. Remember... it's always 5 O'Clock somewhere. We thoroughly enjoyed our stay in this beautifully decorated condo. Decor was white and bright with plenty of sunshine. A great view of the nature preserve lake just out the back of the condo. The condo was very close to the main clubhouse and pool and the cabana bar was a great convenience. Work out center was satisfactory, and we were a close drive to the ocean, shopping and dining. Would definitely lease again.! 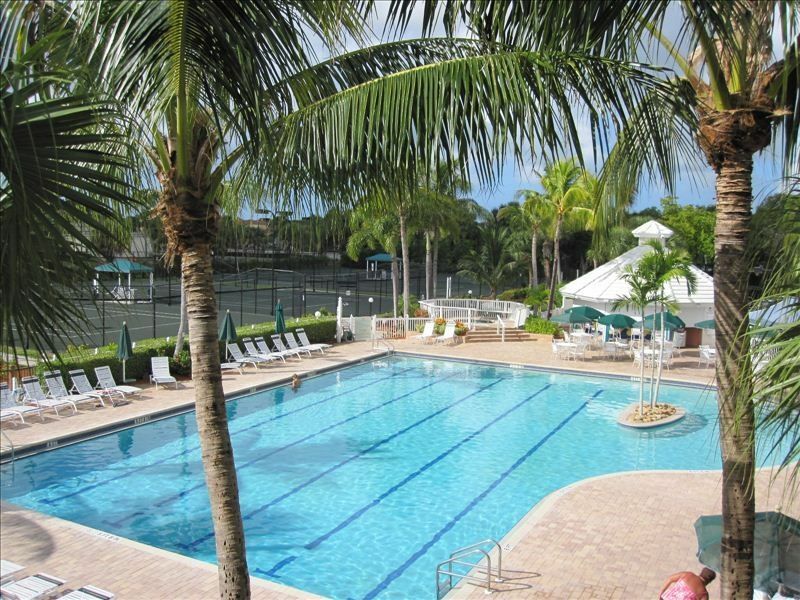 This condo has everything you need and more to have a great time in Naples! The property was very clean and well-maintaned. The bedrooms and bathrooms were the perfect size, and there was plenty of storage space for our clothes and luggage. The condo also provided any and all amenities we needed during our entire stay! The community in which we stayed was very friendly. Everyone was helpful in suggesting places to see and go. The condo was within walking distance of the clubhouse and pool, which was also very convenient! We absolutely loved the location. The beach and the Mercato (plenty of fun shops, restaurants, bars, and a movie theater) were 10 minutes away, and there was a grocery store just down the road. The owner was extremely helpful in answering any questions we had! All in all, it was a great vacation! I highly recommend this condo to all generations. Accurately described in ad. Clean and smartly decorated, great location for beaches/restaurants/nightlife/community pool/leisurely walks. Owner is helpful and highly responsive to needs. I'm going back! Newly renovated, 10,000 s.f. Clubhouse has Free Wi-fi for all guests. Casual Dining available. Beautiful Junior Olympic size Swimming Pool, with jacuzzi, shower rooms, & Sauna. Note: in Pool area there is a Cabana & Bar for your pool side casual dining pleasure. Har-Tru Tennis Courts (pay as you play); nicely set up work-out area, children's play park and bocce ball courts nearby, conveniently walk to everything. Many Golf courses in the area. The award winning Coconut Point mall is only minutes away. Note: This is a NO SMOKING, NO PETS ALLOWED CONDO. Check in no sooner than 4PM. on first day of rental. Check out at 10AM. on last day of rental. Rates subject to change, please confirm with owner prior to booking.